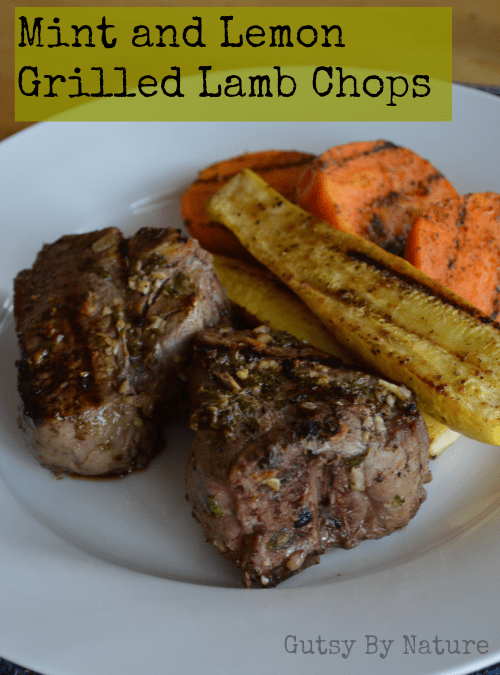 These delicious grilled lamb chops are marinated in a simple paste of mint and lemon with garlic accents and then grilled to medium rare. Grill some vegetables like summer squash and sweet potatoes along with them and you have an easy paleo meal that is also autoimmune protocol (AIP) friendly! We’ve been eating more lamb lately, ever since I the lamb sold in my local big-box store is imported from New Zealand where lamb is raised and finished on grass, from weaning to slaughter. Lamb is highly nutrient dense, containing high amounts of all nine essential amino acids and 100% of the recommended daily intake of vitamin B12 and high amounts of other nutrients. For people with Crohn’s disease it is also helpful to note that lamb is high in zinc and is a good source of beneficial omega 3 fatty acids, both of which studies have shown are important for our gut health and healing. This recipe is also free of any nightshade or seed-based spices, so it is appropriate for people who are sensitive to them or are following the paleo autoimmune protocol (AIP) as outlined in Sarah Ballantyne’s The Paleo Approach. If you have been able to successfully reintroduce some of these seasonings, you could add one teaspoon each of cumin, turmeric, and ground fennel seeds to give the lamb a Moroccan flavor. 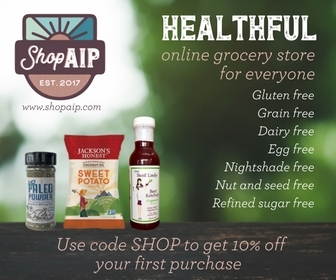 What to learn more about AIP and The Paleo Approach? Get the book! Specific Carbohydrate Diet (SCD): No modifications needed. This mint and lemon marinated lamb chop is quickly grilled to make an easy and AIP friendly dinner. Generously salt the lamb chops and set aside. Use a food processor to puree the garlic and mint. Add the lemon zest and juice and pulse to combine. Scrape down sides. With motor running pour olive oil in slowly until a thick paste is formed. Rub the mixture on all sides of the lamb chops and place in a dish and cover. Allow to marinate in refrigerator for 2-16 hours, turning chops at least once. 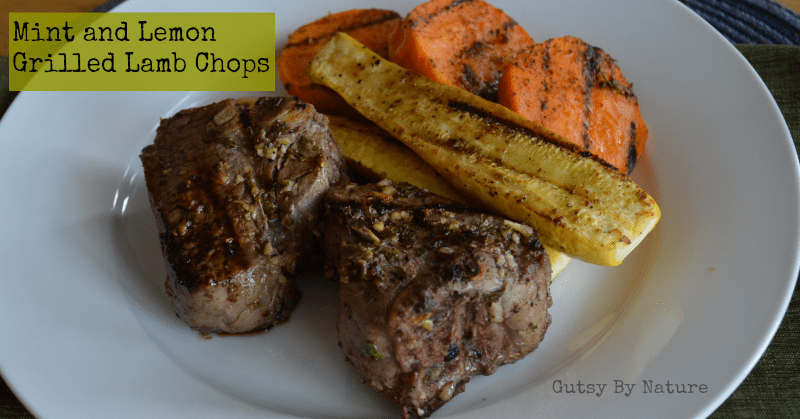 Remove chops from refrigerator an hour before cooking. Shake excess paste off chops and grill for 5-10 minutes on each side, or until the internal temperature reaches 125 to 130, for medium-rare. Allow to rest for 5-10 minutes before serving.